In response to this urgent challenge, the Healthy Mind Initiative (HMI) was established to create a collaboration across the federal, county, and community sectors with two intents. The first aim is to improve mental health literacy in AAPI communities. The second aim is to address the mental health stigma and cultural barriers to seeking mental health treatment faced by AAPI youth and communities. 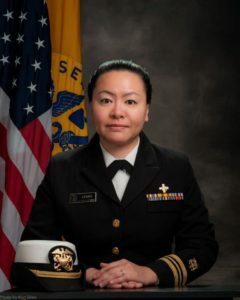 The HMI is led by the Asian Pacific American Officers Committee (APAOC) of the U.S Public Health Service Commissioned Corps (USPHS), in partnership with the Substance Abuse and Mental Health Services Administration (SAMHSA), the Montgomery County Health and Human Service’s Asian American Health Initiative (AAHI), the National Institute on Minority Health and Health Disparities (NIMHD), and AAPI community organizations. 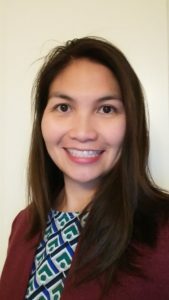 Unique to the HMI is its focus on leveraging APAOC as primarily non-mental health professionals to deliver key mental health messages to AAPI communities with the support of SAMHSA and AAHI. The mission of the USPHS is to protect, promote, and advance the health and safety of our nation. As America’s uniformed service of public health professionals, the Commissioned Corps achieves its mission through rapid and effective response to public health needs; leadership and excellence in public health practices; and advancement of public health science. 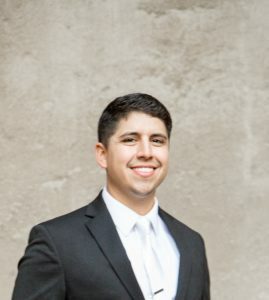 The APAOC is uniquely positioned to deliver critical, culturally specific information to AAPI communities, as it consists of multilingual “trusted messengers” in their ethnic communities. These messengers also serve as advisors to the U.S. Office of the Surgeon General on AAPI issues. Each partner agency serves a specific role. SAMHSA provides the mental health expertise by developing the educational materials with input from its federal partners and the community organization leaders. These materials serve as a guide for APAOC officers to deliver mental health training modules. AAHI assists as the community outreach expert, trains the APAOC on “Mental Health First Aid” to equip members with the skills to conduct outreach activities, and provides community resources. NIMHD promotes the initiative and is a bridge to the health disparities federal and research community interested in multi-level collaboration. A common purpose among partner agencies and community organizations is most essential to any collaboration and acts as the glue. Defining specific roles for each partner agency/organization from the start allows all partners to understand their role and how each complements one another, and prevents duplicating work. Having supportive leadership at each partner agency/organization help moves the project forward with greater ease and reach. Each partner agency/organization has their own strength and network of resources; leveraging existing expertise and resources reduces time and cost.